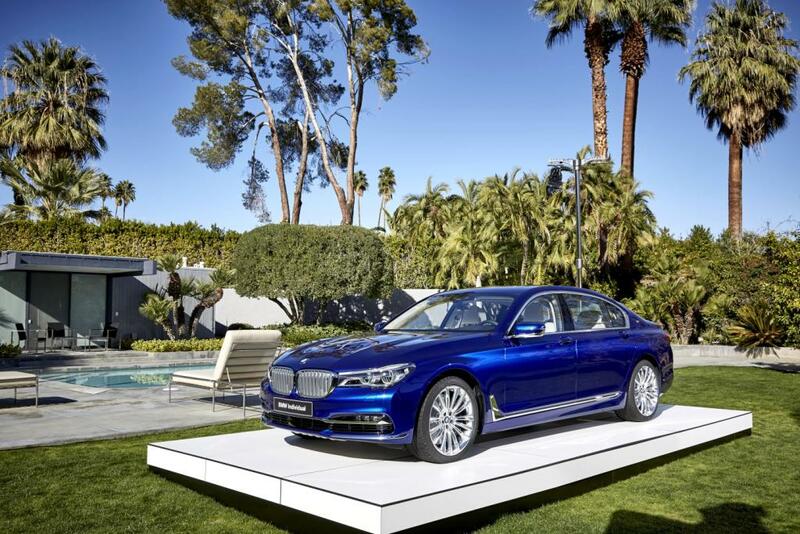 With the new BMW M760Li xDrive, the freshly launched new BMW 7 Series is gaining a prestigious flagship model. Headlined by its exceptional refinement and supreme power delivery at all times, the 12-cylinder petrol engine with M Performance TwinPower Turbo technology under the bonnet reinforces the new car’s range-topping status. 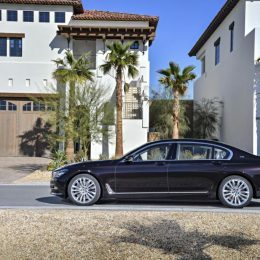 The boldly dynamic driving characteristics of the BMW M760Li xDrive combine with superior ride comfort to make a compelling statement and set a new benchmark in the luxury sedan segment. 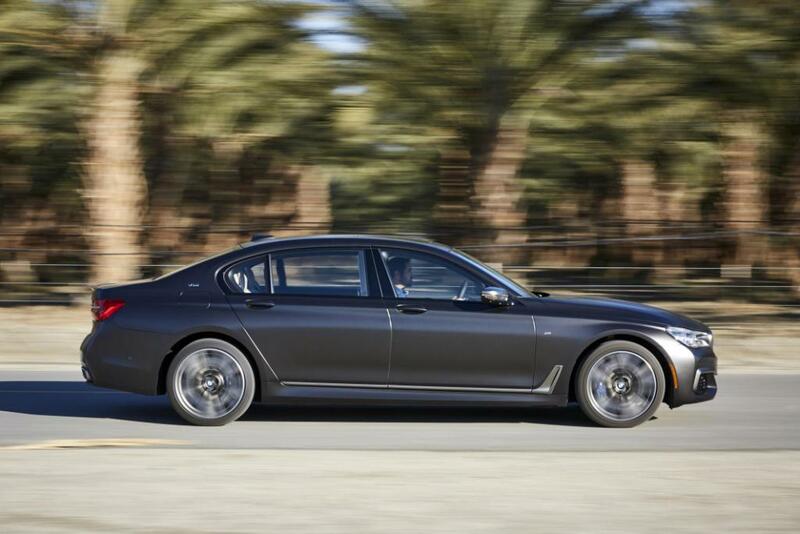 The new BMW M760Li xDrive gives a debut to the new M Performance TwinPower Turbo 12-cylinder petrol engine. Concealed under a cover bearing “M Performance” lettering, the 6.6-litre V12 develops output of 448 kW/610 hp at 5,500 rpm and peak torque of 800 Nm (590 lb-ft) at 1,550 rpm (fuel consumption combined: 12.8 l/100 km [22.1 mpg imp]; CO2 emissions combined: 294 g/km)*. 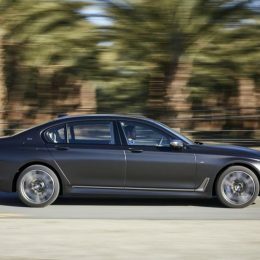 The high-performance unit with leading-edge M Performance TwinPower Turbo technology accelerates the BMW M760Li xDrive from 0 to 100 km/h (62 mph) in just 3.7 seconds on the way to an electronically limited top speed of 250 km/h (155 mph). If the optional M Driver’s Package is specified, the speed limiter doesn’t cut in until 305 km/h (189 mph). Power transfer is via the state-of-the-art eight-speed Steptronic Sport transmission as standard. The M Performance-specific tuning of the shift programs, delivering sportier gear changes and more instantaneous downshifts throughout the rev range, has been specially adapted to the characteristics of the V12 engine. With its optimal internal efficiency and a gear-change strategy assisted by navigation data, the eight-speed Steptronic Sport transmission contributes to the authoritative driving experience and works seamlessly with the standard Auto Start Stop function. Outperforming its segment rivals in driving dynamics and ride comfort. The innovative Executive Drive Pro suspension system is a passport to dynamic sharpness and unbeatable ride comfort. 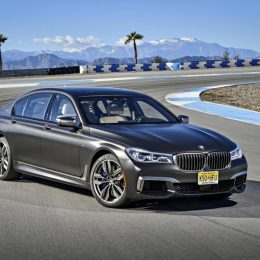 Active roll stabilisation minimises body movements, and the system teams up with performance tyres, fitted to exclusive 20-inch M light-alloy wheels in matt Cerium Grey metallic, to give the new BMW M760Li xDrive the best driving dynamics in its class – without impinging on ride comfort. The rear-biased BMW xDrive intelligent all-wheel-drive system takes its lead from the available grip levels to distribute engine power to all four wheels as the situation demands. In the process, it delivers the dynamic excellence you’d expect of an M Performance model and a supreme level of performance in all conditions. Active safety and driving dynamics are also beneficiaries of the standard Integral Active Steering system in the new BMW M760Li xDrive, which complements the more direct steering ratio at the front axle by adjusting the steering angle of the rear wheels according to the situation at hand. This reduces steering effort at low speeds and in dynamic driving, further enhancing agility and active safety. 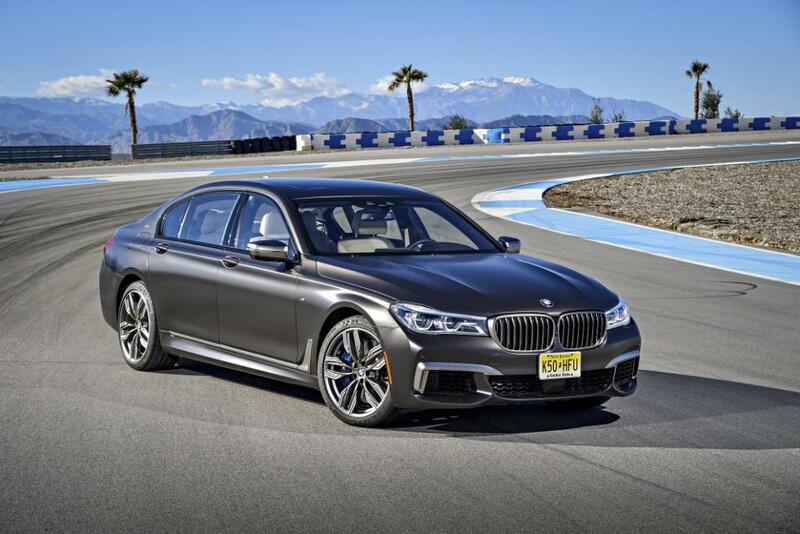 The new 19-inch M Sport brakes, boasting blue metallic brake callipers and M badging, set the seal on the dynamic armoury of the BMW M760Li xDrive and ensure unbeatable deceleration at all times. 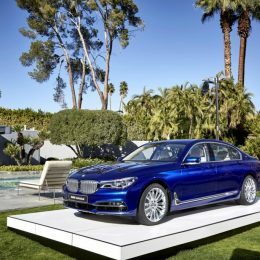 The new BMW M760Li xDrive is fitted with the same extensive package of innovative driver assistance systems as all variants of the successfully launched BMW 7 Series model range. The Driving Assistant Plus system includes the Steering and lane control assistant, Lane keeping assistant with active side collision protection, Rear collision prevention and Crossing traffic warning functions. Meanwhile, the Traffic jam assistant – which involves semi-automated driving – can be used on any type of road. And the Active Cruise Control with Stop&Go function now only requires drivers to press a button to incorporate speed restrictions detected by the Speed Limit Info function. The new generation of the Surround View system now also includes a 3D View and Panorama View option in the Control Display. Dynamic focus underlined by the exterior styling. 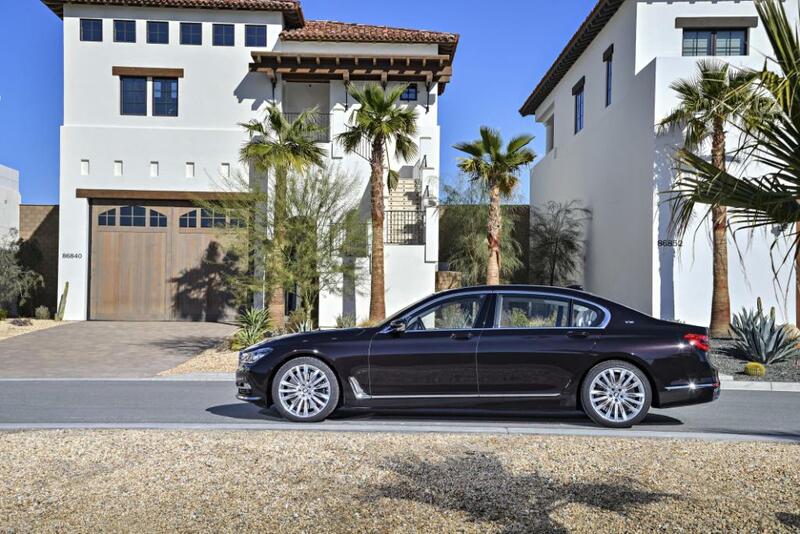 In its exterior appearance alone, the new BMW M760Li xDrive embodies the dynamic mission statement of the BMW M Performance Automobiles with unmistakable clarity. The M aerodynamic package with larger air intakes in the front apron and exclusive 20-inch M light-alloy wheels in double-spoke 760M design with matt Cerium Grey finish guarantee an elegantly sporty appearance. 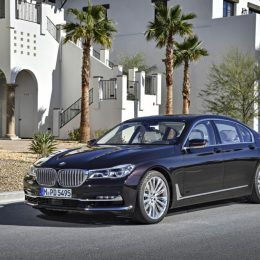 The exclusive galvanised Cerium Grey finish for the kidney grille frame and the fronts of the grille bars, along with the front apron strip, the strips on the exterior door handles, Air Breathers, side door trim elements and boot lid handle, all add colour accents, subtly highlighting the special status of the BMW M760Li xDrive within the BMW 7 Series model range and the BMW model line-up as a whole. Other notable exterior features include the mirror caps, likewise in Cerium Grey, V12 badges on the C-pillars, the M logos on the sides of the car and the xDrive lettering and model badge at the rear. A new M sports exhaust system with flap control generates an emotionally rich V12 soundtrack and adds the finishing touches to the signature M Performance look with its galvanised Cerium Grey twin tailpipe embellishers in exclusive design positioned on either side. Familiar M Performance accents for the interior, too. The now familiar BMW M Performance character is also present and correct inside the car. The exclusive M leather steering wheel carries the M logo, has Pearl Gloss Chrome multifunction buttons on its spokes and shift paddles for manual gear changes on the reverse. Door sill plates with an illuminated V12 logo whet the appetite for the driving pleasure to come, while the instrument cluster contains an exclusive speedometer featuring the model designation and a dial now extending to 330 km/h (205 mph). 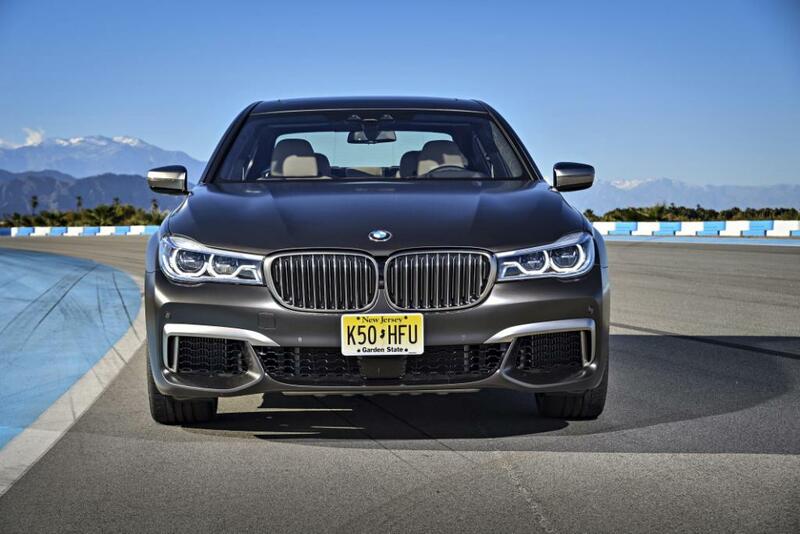 Like the M pedals and M driver’s footrest, the special speedo points to the performance potential of the BMW M760Li xDrive. The area of the centre console around the selector level and iDrive Controller is adorned with a BMW Individual decorative inlay in Piano Finish Black and with V12 badging. The optional Touch Command Panel in the rear compartment’s centre armrest hosts a similar V12 identifier. Comfort features generate a modern and luxurious ambience. The electrically adjustable front comfort seats with memory function and the Fineline black fine wood interior trim strips with high-gloss metal effect team up with high-quality deep-pile floor mats in the rear compartment and an Alcantara Anthracite headliner to generate a luxurious ambience. 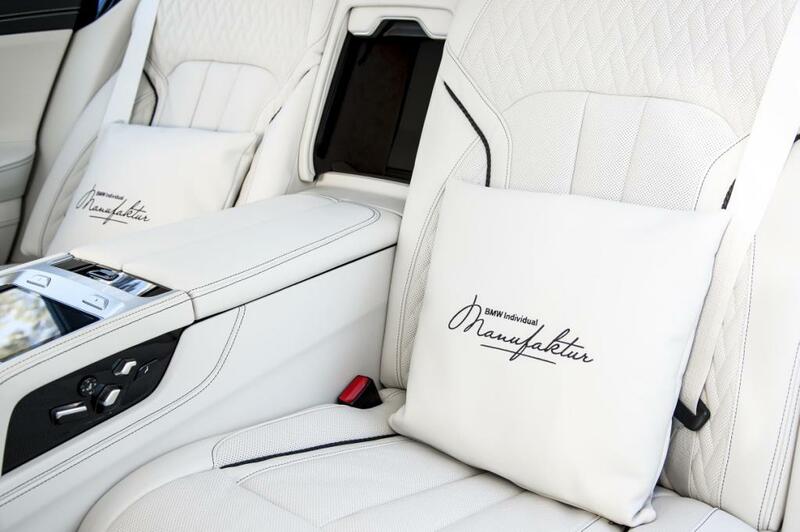 Exclusive Nappa leather trim covers the seat surfaces, seat side sections, head restraints, door cards, centre armrests and side armrests to round off the elegant atmosphere in tasteful style. 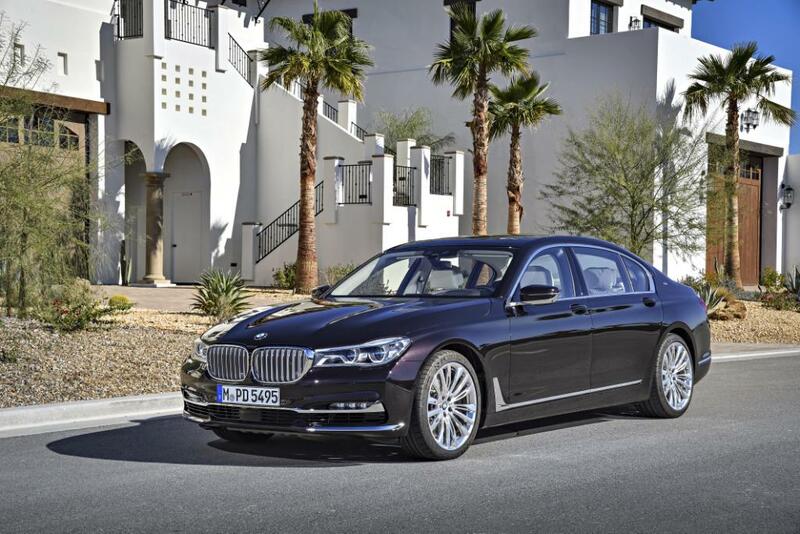 BMW M760Li xDrive V12 Excellence option also available. For customers looking to trade the overtly dynamic appearance of their BMW M760Li xDrive for a more discreet luxurious look, the optional BMW M760Li xDrive V12 Excellence is available at no extra cost. This character variant significantly alters the personality of the BMW M760Li xDrive, shedding the M aerodynamic package and adding 20‑inch BMW Individual light-alloy wheels in W‑spoke 646 design high-gloss polished with mixed-size tyres (front: 245/40 R20, rear: 275/35 R20). There is also a high-gloss Black finish for the brake callipers. 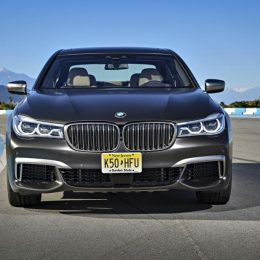 Customers choosing the V12 Excellence model can expect their BMW M760Li xDrive to feature a chrome bar extending across the full width of the car in the upper section of the air intake grille. In addition, the kidney grille bars are in Silver with chrome fronts and surrounds likewise in bright chrome. All the other trim elements on the body also come in bright chrome. In place of a model designation, the BMW M760Li xDrive V12 Excellence has a “V12” badge on the boot lid. The comfort-oriented exhaust system’s pair of chrome, rectangular tailpipe embellishers are now framed by additional chrome trim. 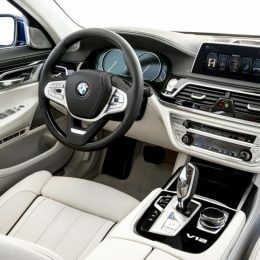 Inside the car, meanwhile, the BMW steering wheel features wood inlays, and the V12 lettering in the instrument cluster – whose speedometer extends as far as 260 km/h (160 mph) – illuminates when the driver fires up the engine. The comfort-biased exhaust system with its refined soundtrack also helps to accentuate the specific character of the V12 Excellence model. Intuitive operation with touch display and BMW gesture control. As in all variants of the new BMW 7 Series, the monitor of the iDrive operating system in the new range-topping BMW M760Li xDrive comes in touch display form. This means customers will be able to navigate around the system in the same way as with modern electronic devices. In addition to using the Controller to operate the system in the familiar style, its functions can also be selected and activated by touching the screen’s surface. 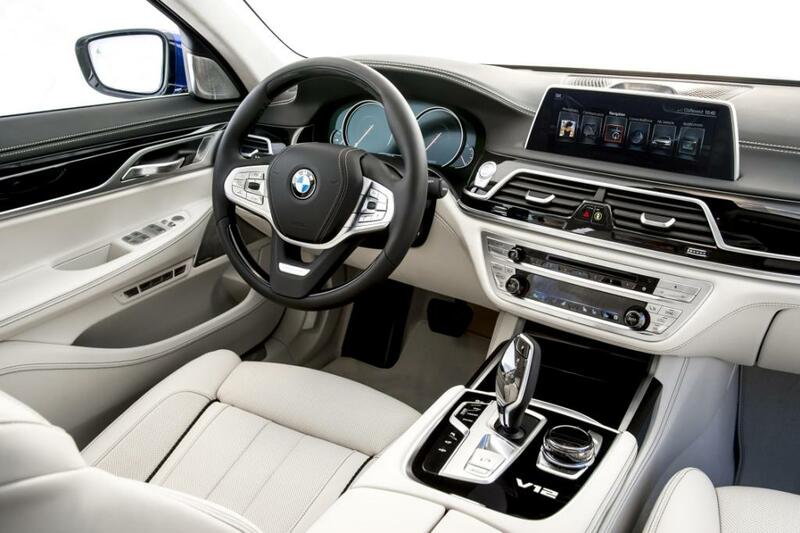 The iDrive system also features the gesture control system presented in the BMW 7 Series for the first time. Hand movements detected by a 3D sensor control infotainment functions in an extremely intuitive and user-friendly fashion. The gestures can be used for a number of functions, including controlling the volume in audio applications and accepting or rejecting incoming telephone calls. There is also the option of pairing a specific gesture with an individual choice of function. Also joining the fray is a new smartphone holder integrated into the centre console, which enables wireless, inductive charging for mobile phones for the first time in a car.